Things have been a bit busy in the last few weeks so best condense things down. 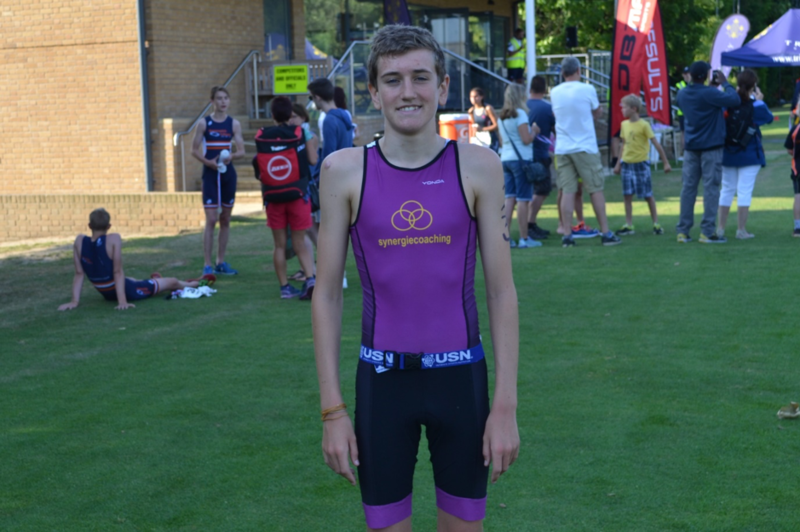 Firstly Trinity Tri in London, (1stJuly) good race venue with closed roads for the bike section, I was racing some very good athletes and the problem with staggered starts is you never know how your doing until the results are published. I was given the win, 1 second ahead of Daniel, I didn’t think that could be right so I challenged the results stating that I thought Daniel had won the event, timings were re checked but they were insistent I had won, I wasn’t too comfortable with this but could do no more. 7thJuly, On to Eton Dorney for a GB Super Series race, 400 open water swim which was consistent, again 2ndout of the water so no excuses for not getting onto the lead bike pack, several of the stronger boys were getting away then getting reeled back in, the pack was much bigger than I would have liked but I stayed with it. I felt dizzy on the run which was not too clever and finished 16th, that seems to be about where I’m at, at the moment in these races. So, pleased with my swim, my bike is getting stronger but I will need a good long winter to build the necessary strength to be competitive at the front of the pack, my running is getting there but im about 30 seconds adrift of where I need to be over 2.5k. Unfortunate calendar clashes meant I had to jump into the car and drive straight down to Weymouth for the 3k OW South West Championships, a sea swim which I wanted to do to see if I could qualify for OW Nationals at the end of July, I got there with an hour to spare for the 3.30pm race start, the race was a battle from start to finish with another boy and myself leading the race, he finished stronger than me so I had to settle for Silver but got my qualification place. 15thJuly Andover Triathlon. This is the last race in the South Central series, I have enjoyed them, the venues have been really nice (and grand) my competitors I really like, they’re a great bunch of lads who I’m just starting to get to know. Strange time for a race 4.15 in the afternoon (didn’t want to watch the World Cup final anyway). Really short swim on this one 264m, no tumble turning, no overtaking, not particularly conducive to racing but it actually went off without too much grief, I came out with the fastest swim around about the same time as Daniel and Jack and because of our close start times we were in contact and sight of each other the whole race. I didn’t think it was going to be my day when Jack overtook me on the bike but I managed to go past him on the run and gained the necessary seconds to take the win. I enjoyed the race and the SC race scene. Just need to get ready for GB series Hetton at the weekend before a decent training block heading into the last GB race of the season at Mallory in September.